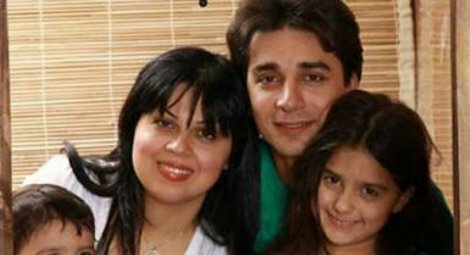 Assemblies of God (AoG) leader Farshid Fathi Malayeri has been released after five years in prison. Pastor Fathi Malayeri was arrested on Boxing Day in 2010 during raids that targeted Christians and churches; He spent over 100 days in solitary confinement and was held for a total of 14 months before his case came to trial. In 2012, Pastor Fathi Malayeri was given a six-year sentence for ‘action against national security’, ‘cooperating with foreign organisations’ and ‘evangelism’. He was initially detained with political prisoners in Ward 350 of Evin Prison in Tehran, before being transferred unexpectedly in August 2014 to Rajai Shahr Prison in Karaj, where he was held with violent criminals. The transfer followed an incident in April 2014, in which the pastor suffered a broken foot and toe during a violent and controversial raid by security agents on Ward 350 that was allegedly initiated following the discovery of two litres of alcohol in a ward adjacent to the one in which he was held. Pastor Fathi Malayeri was deemed responsible and received an additional one-year sentence in December 2014, but was informed on 4 July 2015 that he would be released on 10 December 2015. Pastor Fathi Malayeri’s release follows the early release of Suroush Saraie and the temporary releases of Mehdi Ameruni, Seyed Bijan Farokhpour Haghigi and Eskander Rezai, who were all arrested during a raid on a prayer meeting in Shiraz on 12 October 2012. Christian Solidarity Worldwide’s Chief Operating Officer Andy Dipper said, “We welcome Pastor Farshid Fathi Malayeri’s release ahead of Christmas celebrations, and hope he is soon reunited with his family following a long and unwarranted separation. We remain deeply concerned at the treatment of Christians in Iran, who suffer harassment, mistreatment and imprisonment simply for exercising their right to freedom of religion or belief by gathering to worship peacefully, particularly during the Christmas season. We also remain concerned by the deteriorating human rights situation in Iran and urge the authorities to release all prisoners of conscience and to ensure that constitutional guarantees for religious freedom become a reality for all of Iran’s religious communities."